* With the purchase of any model of Skike roller skis, recieve 50$ worth of free Skike promo gear! Skike V8 Lift Cross 2R Roller Ski. Universal bindings fit all types of shoe & boots sizes so traditional boots are not required. 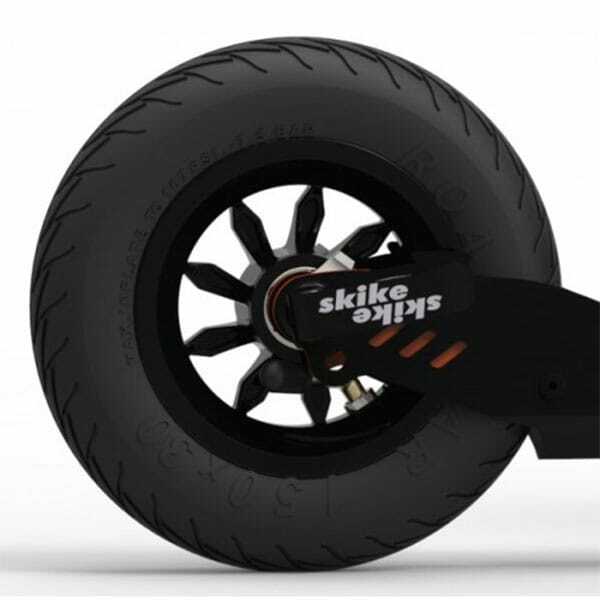 Because larger wheels roll over larger obstacles, your Skikes will roll comfortably on packed gravel and dirt, limestone, and even mowed grass, in addition to asphalt and concrete. Built-in emergency brakes on both left and right skis give you an extra safety margin. Please send us a message with your height, weight and shoe size, so we can customize your order. It is not obligatory to do so but it is a logical thing to do! 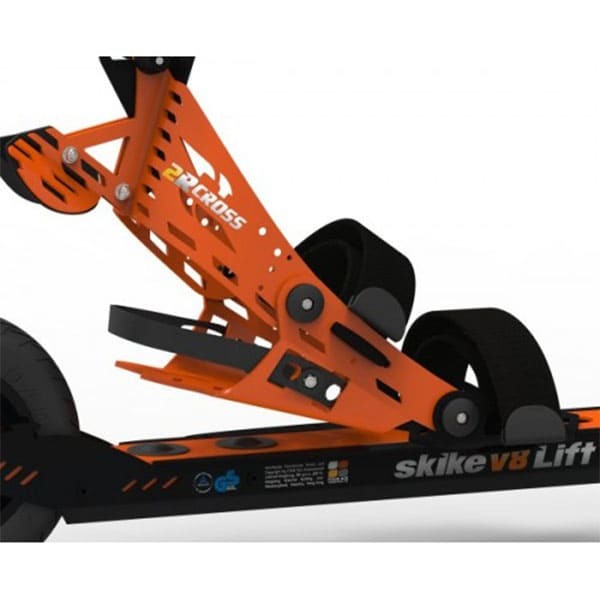 Skike V8 Lift combines the best features of the V7 Fix and the old VX Twin. 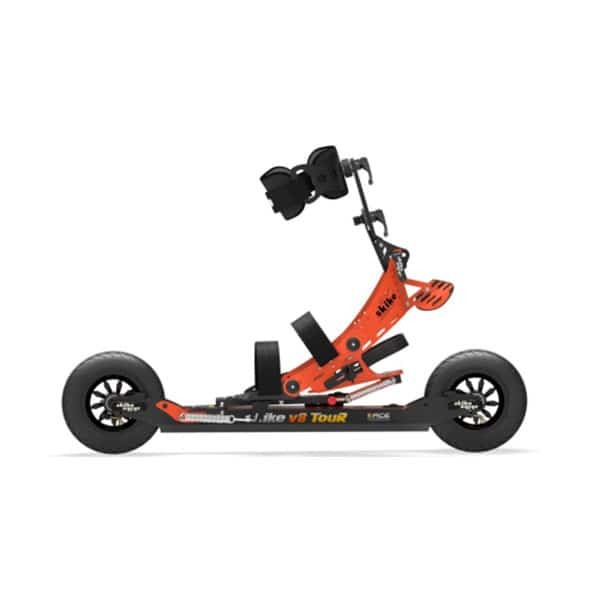 New features include: Re-designed binding which has a free heel to simulate cross-country skiing, both skating & classic techniques; Reverse Lock front wheels give you a great classic kick without impeding the skating motion; heavy-duty Skike Roadstar tires; new tube design with reinforced valve stem for long durability; quick-release skewers for all 4 wheels (instead of axle bolts & nuts); and the Velcro foot straps now stay in place, instead of pulling out when you insert or remove your foot. Universal bindings fit all types of shoes; you can also use them with ski boots, but you don’t have to. 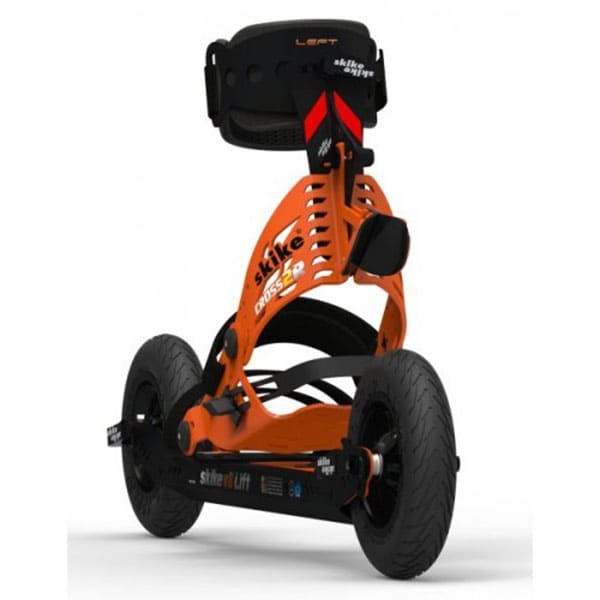 Skike V8 Lift is highly rated for safety, ride comfort & versatility. 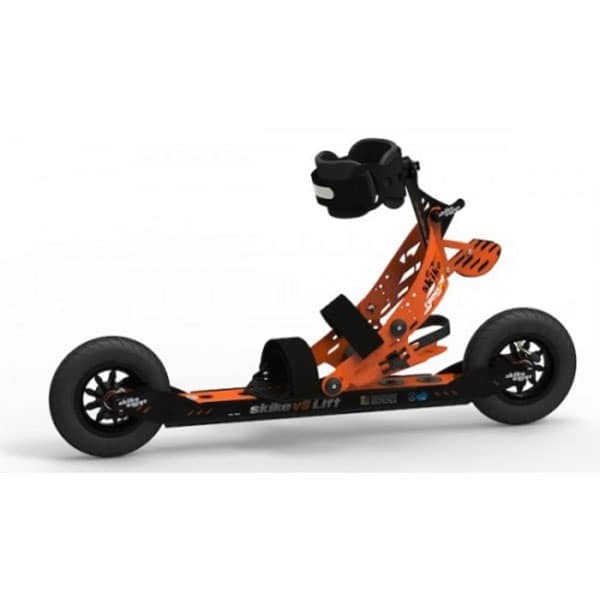 Our package includes Skike V8 Lift all-terrain, dual-technique (skate/classic) rollerskis with 6.25 inch inflatable tires, dual built-in emergency brakes, and universal bindings that fit all types of shoes.